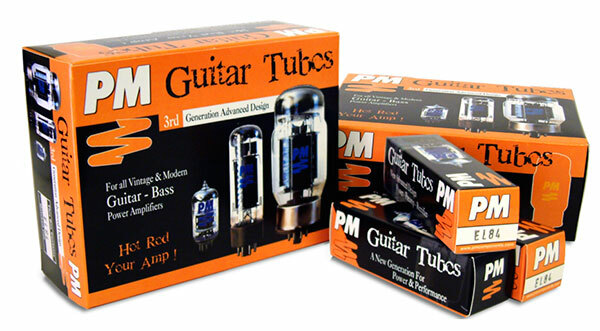 The PM range of guitar tubes is a unique blend of proven vintage technology plus an intensive research development program covering all aspects of performance and production. The result? Tubes of unparalleled sound quality and reliability. That’s why PM are design consultants and tube suppliers to many of the biggest names in the music business for both guitar and high-end audio. Like guitar strings, tubes should be considered a consumable item! When it comes to amplifier maintenance, some people are content to change their tubes when the existing set have burnt out -but this can cause damage and additional wear to other components. In order to avoid your tone becoming muddy and lifeless (unless that is what you are aiming for!) and to keep your amp running at its best you need to replace your tubes regularly. PM recommends replacing tubes at least every two years; the more often and aggressively you play, the faster your tubes will wear out. The PM range was created to simplify re-valving an amp. We have picked what we believe to be the best sounding and most reliable valves from current production. Full details on request. As one of the worlds most revered guitar players, Steve Vai could pick and choose which vaccum tubes he would like to use in his amplifiers. With the launch of the new Carvin 'Legacy' amplifier Stevie chooses to use PM EL34/6CA7 tubes, the new upgraded EL34 from PM Guitar Tubes. With a new heater design and improved cathode producing warm bass, improved top-end and detailed mid-range, the PM EL34/6CA7 brings life to one of the most iconic amplifiers in recent times. 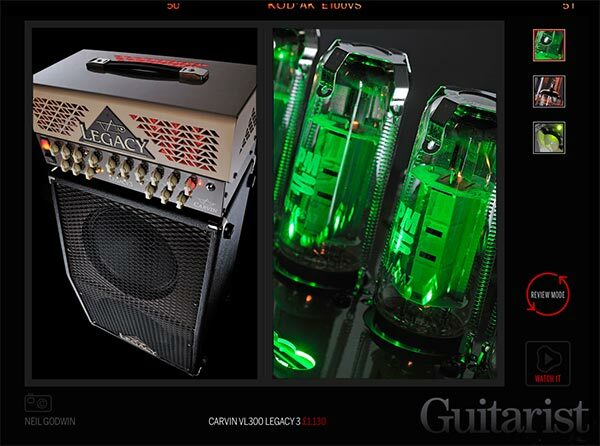 Check out the new Steve Vai signature Carvin 'Legacy' amplifier review in Guitarist magazine (issue 357) and Guitarist Deluxe (pictured above).